Bioengineering of probiotics allows the improvement of their beneficial characteristics. In this work, we develop a molecular tool that would allow the activation of desirable traits in probiotics once they reach the intestine. The activity of upstream regions of bile-inducible genes of Lactobacillus casei BL23 and Lactobacillus plantarum WCFS1 was analyzed using plasmids encoding an anaerobic fluorescent protein as reporter. The promoter P16090 from Lb. casei BL23 was selected and its bile induction confirmed in Lb. casei BL23, Lb. plantarum WCFS1, and in Lactobacillus rhamnosus and Lactobacillus reuteri strains. However, the induction did not occur in Lactococcus lactis MG1363 or Bifidobacterium strains. Studies with different bile compounds revealed the importance of cholic acid in the bile induction process. Induction of fluorescence was also confirmed for transformed Lb. casei BL23 under simulated colonic conditions and in the presence of intestinal microbiota. 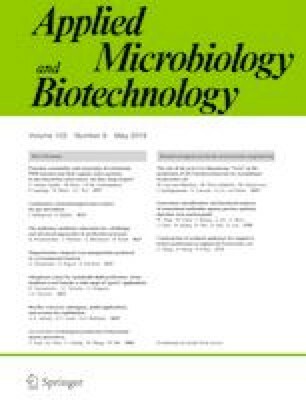 The developed vector, pNZ:16090-aFP, constitutes a promising tool suitable for the expression of genes of interest under intestinal conditions in probiotic strains of the species Lb. casei, Lb. plantarum, Lb. rhamnosus, and Lb. reuteri. This study was funded by RTA2013-00029-00-00 and RTA2017-00002-00-00 from the Spanish Ministry of Science, Innovation and Universities.